Her choice of books from the library - A lot of non-fiction, some light-hearted ones, a comic (Santa's pants) and Martin Luther King Jr? Her school is having an "African" theme this whole term and they have been teaching her about the dark, and courageous sides of Slavery, treatment of black people... and Ku Klux Klan. KKK scared her so much she woke up one night screaming. Not very impressed that they teach her about racial tension and violence at such a young age (6-7YO). 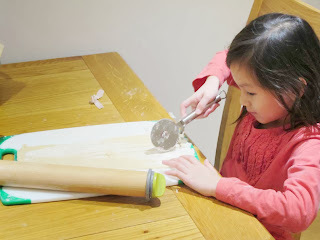 It is not that I want to bubble wrap my child and shield her away from it, but for a 6 year old, they still cannot mentally understand some things. There is no reason to teach them about racial issues, which I feel will further make certain children feel more "aware" of how different they are, in terms of colour of hair, skin and facial features. I know that most kids are still "colour-blind" at this age, so let them have an innocent childhood - they can learn it at 10YO when they are mentally more mature! 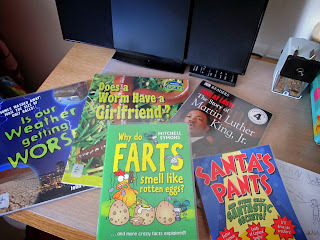 Anyway, it is interesting to see what she chooses at the library and I am partly glad she doesn't just go for the Horrid Henry series (which she is very into since last term). LOL! It is the start of the half-term, and Shean Wenn came up to me early in the morning holding the origami book I bought for her some time back. She was trying and fiddling with an Origami shape (that book isn't that great!) and then we went on to explore other origami shapes. After that, I continued browsing online and happened to stop by a newly found blog as I was googling for "Fish Origami". 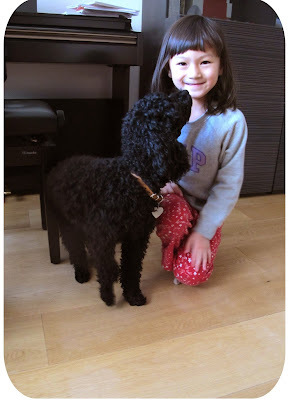 Zakkalife is really an interesting blog of a mom to half-Japanese kids! So while on her site,we viewed some videos and stumbled upon this other youtube video produced by some Japanese - they teach easy drawing for kids. In this video, they taught how to draw a tortoise, a rat, a fox, a pig, a bear, an alligator, a cute bunny, an even cuter elephant and a crab! If you have young children and can't think of how to teach them to draw animals, this video will be great for them (with an addictive background song in Japanese, although we both don't know Japanese, we still hummed to it.. everytime it comes on!). Look what Shean Wenn produced! I was so smitten by her work (Aren't you?) . 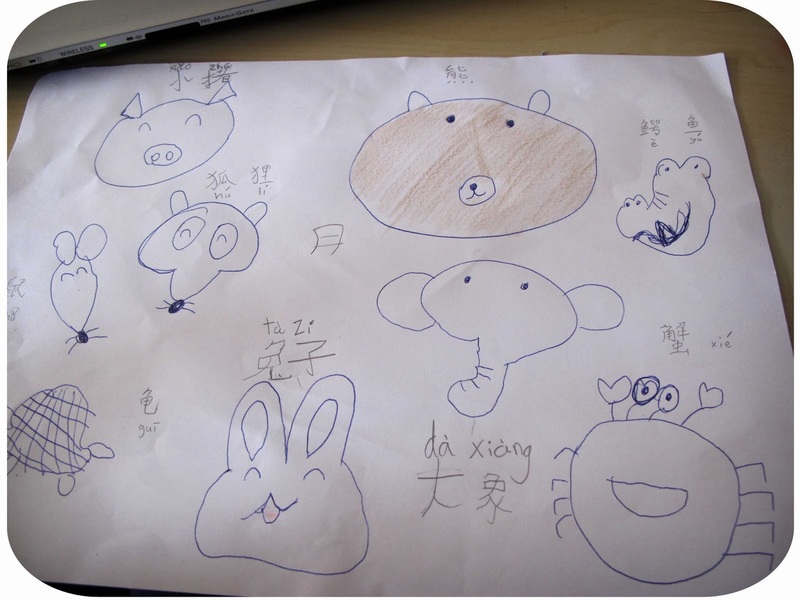 After drawing it, SW said that she will write the names of the animals below it (in English), however, I suggested to her to write the names of the animals in Chinese. She protested but agreed in the end. I have been an avid follower of Rasa Malaysia for many years and have used her recipes countless times and they have never disappoint! So when she published this recipe, suddenly my love for this simple and wholesome dish came flooding back. I had to make it!! Two weeks ago, an ex-colleague of mine were to visit us and therefore I decided to make this dish for dinner and Sago Gula Melaka for dessert afterwards. For the soup, I made a superior stock using Ikan Bilis (dried anchovies) and Corn-fed chicken bones. The soup is sweet and full of flavour - Umami flavour oozing from both the chicken bones and Ikan Bilis. 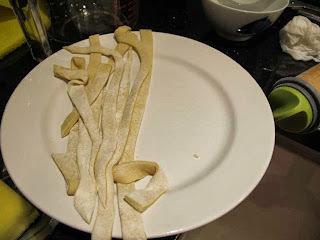 I also made the noodles from scratch because I didn't know where to buy ready-made noodles here in London. After slaving for 2 hours in the kitchen, we were ready to eat! I made some by the "tearing" method (called "Mee Hoon Kuih") just to have a variety of tastes. I must say it was just perfect for the wet and cold evening in London! 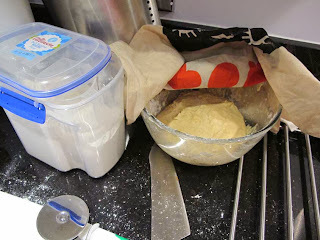 The Rasa Malaysia recipe is here. 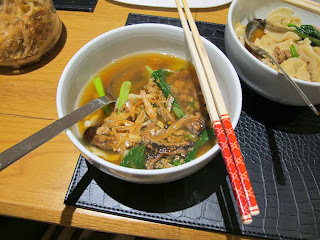 If you fancy the dried version of Pan Mee aka Chilli Pan Mee (Kin Kin Pan Mee, the famous franchise of the dried version of Pan Mee), you can go to this website (lots of interesting foodie posts!!!) for more details. Nurah even have a downloadable 45-mins recipe - A Must-try if you are pressed for time and just want to satisfy your cravings for this healthy meal! And the Sago Gula Melaka was the best way to end the night with : Rich, creamy coconut milk & sweet "gula melaka" drenched on cold sago - only one word to describe it - HEAVENLY! Shean Wenn was addicted to Sago Gula Melaka asking me for more the night after that, pronouncing it perfectly in Malay in her English-accent! Well done darling! "Flies like the smell of rotten meat"
So the things Shean Wenn learns from her books. We have been going to the library very often this summer holidays despite being busy with the house move and visit from her grandparents. I find she tends to love reading non-fiction to fiction although she does like her "Horrid Henry" books (to my dismay!). Horrid Henry, really? What do you learn from it? I notice the books makes her laugh, so at least she is finding humour from it. But what she really learnt from the non-fiction books are most useful of course. During tonight's dinner, she asked me this very earnestly. "Mummy, ... do I smell like rotten meat?" "No, of course you don't. Why do you say that?" "Because I saw a few flies flying around me all the time, why? And flies like the smell of rotten meat." "Oh silly, it's because they are hovering around the rotten banana (that her grandparents left on the table - one left from the bunch. Her grandparents have gone to Spain for a short holiday)." Shean Wenn enjoying her book about Insects! Eeek.. Geli! Shean Wenn smiled in relief. I smiled because I found it funny! She often comes up to me with funny facts like that. Just like the one about the Mimic Octopus - which she said she watched from Octonauts. She said there is this octopus who can change its shape into "a few eels", "a zebra fish", and something else. I had to google about mimic octopus before believing her! Wow.. more facts of the day. After being in the waiting list for almost 2 years, the state school called up 2 weeks ago to inform us that there was a space available for Shean Wenn. When I got the call, I had mixed feeling about it - she is doing so well in her current school and not only adjusting well but also coming in leaps & bounds in her reading, maths & comprehension. On the other hand, this state school is only 5mins drive from our place and we would "save" a lot in school fees (state school is of course FOC), and she already has a few friends in the school (but all of them in different classes/years). So, after putting a lot of thought into it, we have decided to accept the offer. She started her new school this week. "Mummy, my teacher says she is very impressed with me"
"Is that so? Why is she so impressed?" "Because she says my handwriting is very neat . And I am also very quiet in class, I don't talk over her like some other kids, especially some boys. You know I can't even hear the teacher when the boys talk over her!" She told me during dinner "Mummy, Fred says he likes me a lot!" But, Fred is of course the frog in Ruth Miskin's Phonics Teaching. Fred makes an appearance in class very often to help with phonics for kids this age. Boy, am I glad Fred is a frog! It has been an exciting week so far for her and she has been made so welcomed in her class too. So grateful for this!